Because they couldn’t ask “who gets killed” directly, EW instead asked Walking Dead star Norman Reedus what filming the new season feels like. It’s currently under production now. It’s not easy, he replied. Reedus says the kind of situation their characters are returning to had an impact on morale. “It was definitely not a joyous reunion. I mean, it was nice to see everybody again, of course, but it wasn’t the same as in previous years.” The dark specter of losing a beloved cast member, and not knowing which one, created a vibe of unease. “Negan has come in and completely shaken up everything. Loyalties are broken, belief in one another, belief in ourselves. 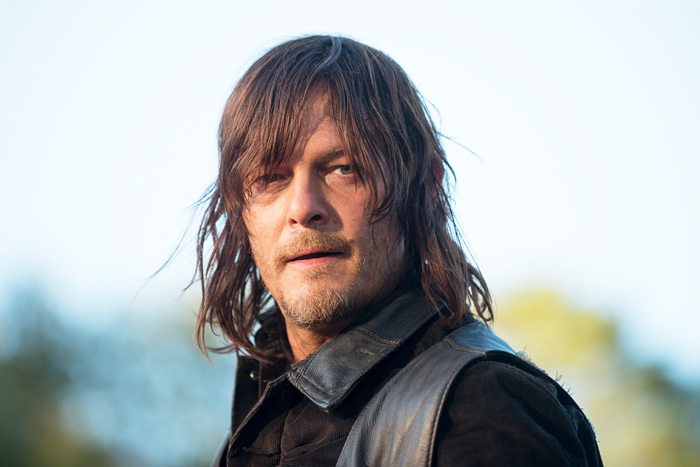 Each individual is completely broken, and they don’t all handle it the exact same way.” Reedus didn’t say how Daryl handled it, but if an earlier rumor is to be believed, he actually becomes Negan’s new buddy.